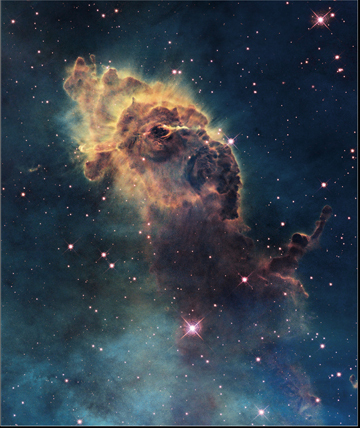 Telescopes have enabled us to truly see the wonders of the Universe. Who invented them and how have they developed throughout history? 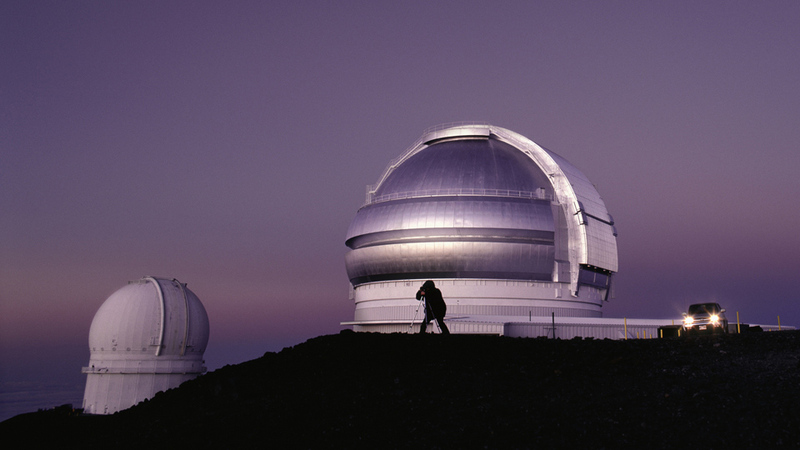 The first optical telescopes were made around 1608. 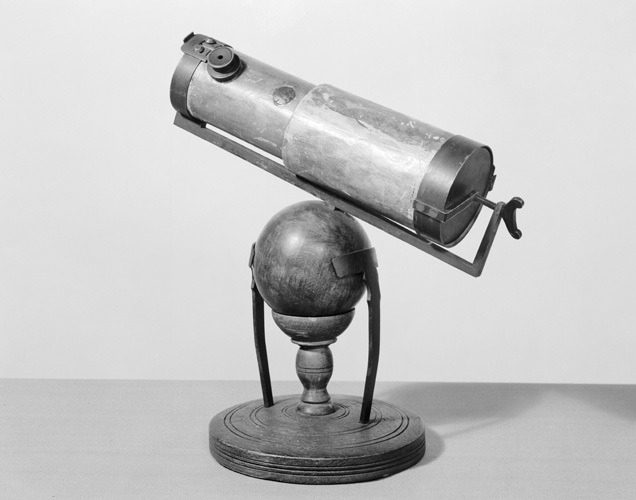 Early telescopes consisted of a convex lens and an eyepiece. Later telescope designs used multiple concave mirrors to reflect light. 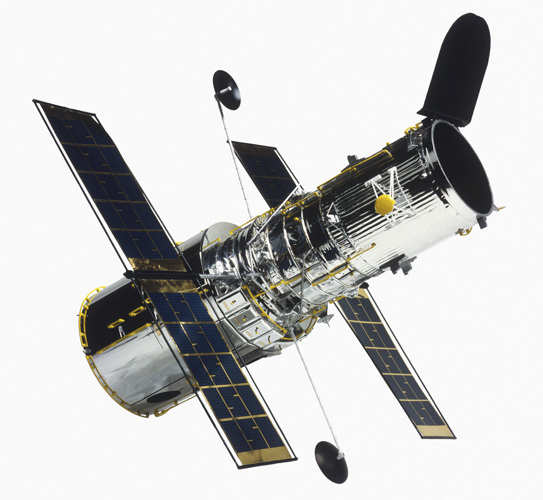 Modern telescopes can be used to view the entire electromagnetic spectrum, from radio waves through to gamma rays. These amazing images of space would not be possible without a very important piece of equipment. 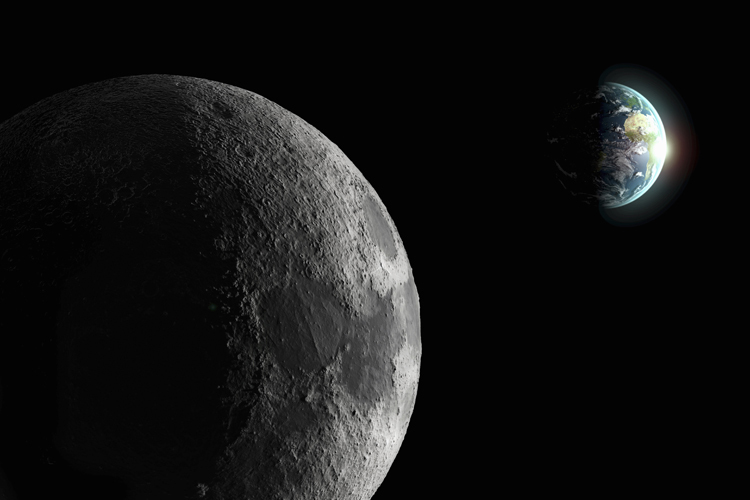 Distant objects appear faint and small, but telescopes allow us to gather lots of light from them, so that we can see a brighter, clearer, and larger image. The first optical telescopes were made around the year 1608. Their simple design took advantage of the fact that light waves can be refracted. 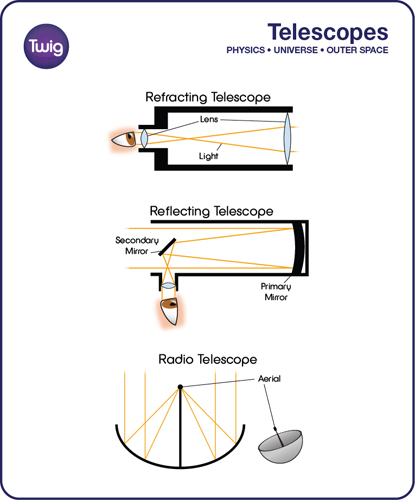 Refracting telescopes consist of a convex lens and an eyepiece. Light enters the telescope through the lens, which causes it to converge before passing through the eyepiece. The image then appears magnified to the observer. It was this type of telescope that Galileo pointed towards the skies. In 1616, the first telescope to utilise light's reflective properties was developed. By 1668, Isaac Newton had improved its design. Parallel rays of light enter the telescope and bounce off of a concave mirror. These days, telescopes of all shapes and sizes are used by professionals and amateur astronomers. They all work on these basic principles, though most of the biggest ones now use detectors, such as cameras and sensors, to record their images. 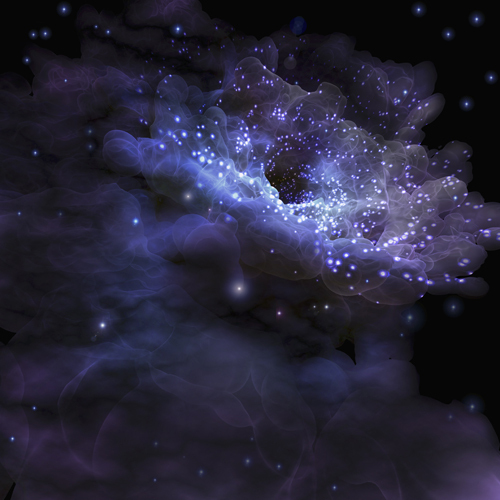 Telescopes are not just used to improve our view of visible light in space. 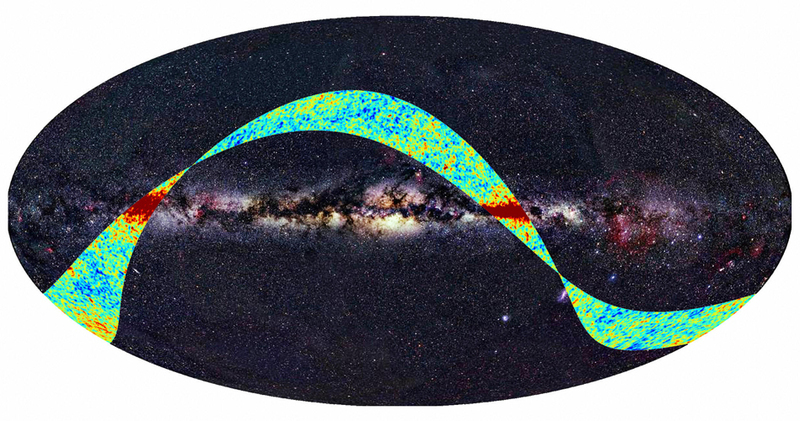 We can now use them to look at the whole spectrum, from radio waves through to gamma rays. Telescopes have enabled us to truly see the wonders of the Universe.